6/13/2015 Oswego NY: Ryan Tidman cruised to victory over teammate Joey Bailey and Jon Gambutti. Heat races were won by Tidman and Gambutti. Next up for the ATQMRA is its second consecutive race in New York State at Bethel Speedway. Force moved to the top of the Rookie standings with his eight place finish. Ryan Tidman swept the days racing at Oswego Speedway by winning his heat race and following that up with a feature victory. It is Tidman's first win of the young season but is his second consecutive win at Oswego after winning the TQ Classic last September at the Steel Palace. A front row of Geoffrey Sutton and Matt Roselli brought the field to the green with Roselli taking the early lead with Tidman following into second. While Roselli looked strong early Tidman was able to take the top spot by lap five after Roselli spun in the fourth turn. It looked as if Tidman would be able to cruise to victory in the 25 lap event but a late race caution tightened up the field and gave Current Point leader and Teammate in the Boyd Racing camp Joey Bailey a shot at Victory. On the restart Bailey tried to muscle his way past Tidman but had to settle for second followed across the line by Hotrod Jon Gambutti in the Alan Mollot 51 Lindblad Badger. The Battle for Rookie of the Year honors heated up Saturday at the Steel Palace when two of the contenders Patrick Force and Mike Glaser tangled battling for position late in the race. Entering the third turn Glaser attempted to make a move under Force but climbed his left rear and locked the two together and both went sliding to a stop in the grass that surrounds the infield portion of the track. Force was visibly upset with loosing the opportunity to earn his best finish of the season. Glaser was able to continue and finished seventh. 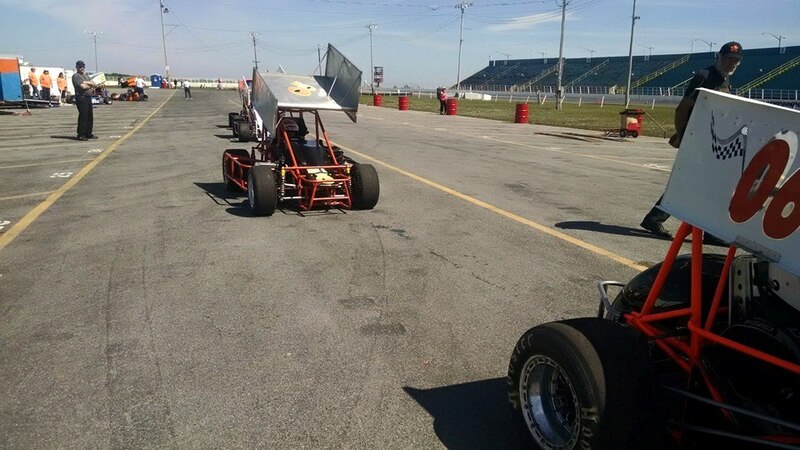 Tidman and Gambutti won their respective heat races while current point leader had a DNF in his heat but recovered to earn his third podium finish of the season and the second consecutive sweep of the top two spots by the 1B and 02 cars that operate out of the Boyd Racing Oceanaire Shop in Tom's River NJ. Bailey maintained the overall points lead but the margin narrowed with Tidman gaining four markers with the win. 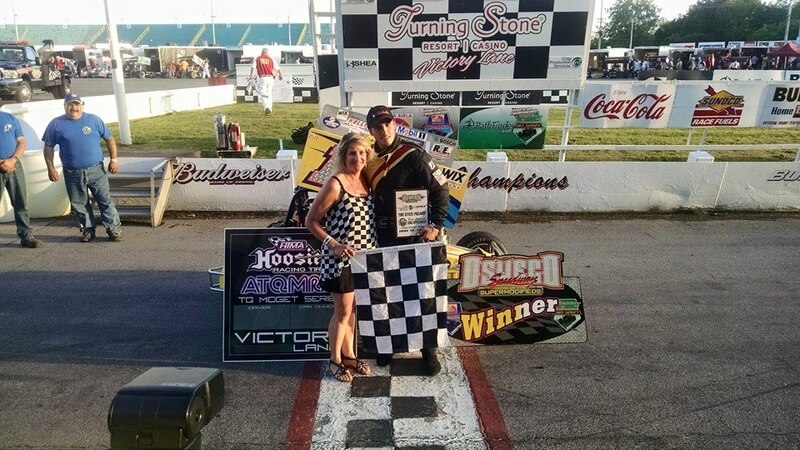 By virtue of his eighth place finish Patrick Force was able to take the top spot in the Rookie Standings over Avery Stoehr who was busy racing his NEMA Midget at Wiscaset Speedway in Maine. The rookie of the year battle should be a two driver race between Force and Glaser since the two are the only rookies who have declared intentions to run all of the remaining races with the ATQMRA. On hand to race a TQ at the steel palace was 2009 ATQMRA Championship winning driver Alison Cumens who ran fast laps in her Fiancé's Sload racing 53 in the first round of practice. Cumens was also racing her ISMA Supermodified. The second round of practice was both her best and worst. She was second on the speed chart at close to 146 MPH average Speed but crashed into the outside retaining wall ending her day early. Cumens was shaken but uninjured in the incident but decided not to push her luck and parked the TQ for the day. 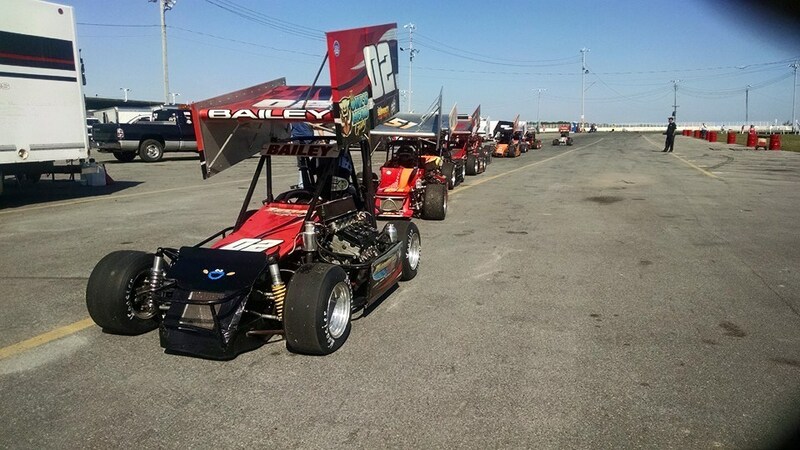 Next up for the ATQMRA is its annual trip to Bethel Motor Speedway for some winged racing. The Sullivan County quarter mile always provides ultra competitive racing for the TQ midgets and gives the fans and drivers a dose of short track racing unique to the TQ midgets. Also on the card that night will be the Vintage TQ midgets. 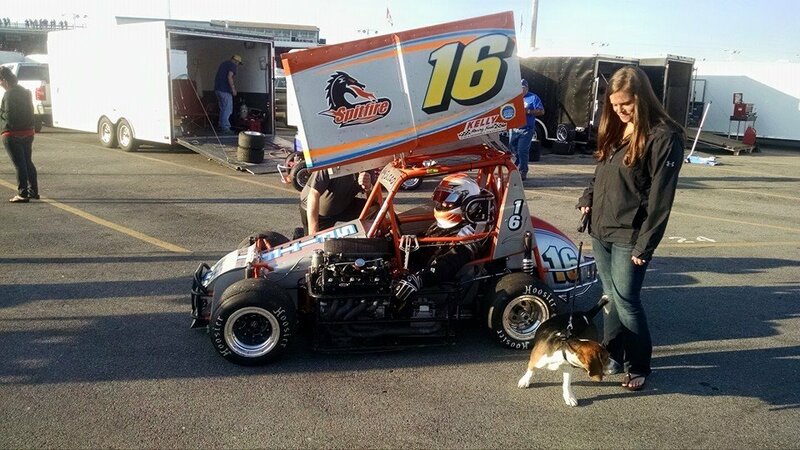 ATQMRA News and Notes:The racing Chiropractor Greg Richardson who resides in Rochester NY fielded his 44 orange peeler machine for his second ATQMRA start but had a litany of mechanical whoa's that hampered his progress. Richardson and his crew didn't get the results they were hoping for but showed true grit in overcoming the problems they encountered to have the car on grid for the feature. 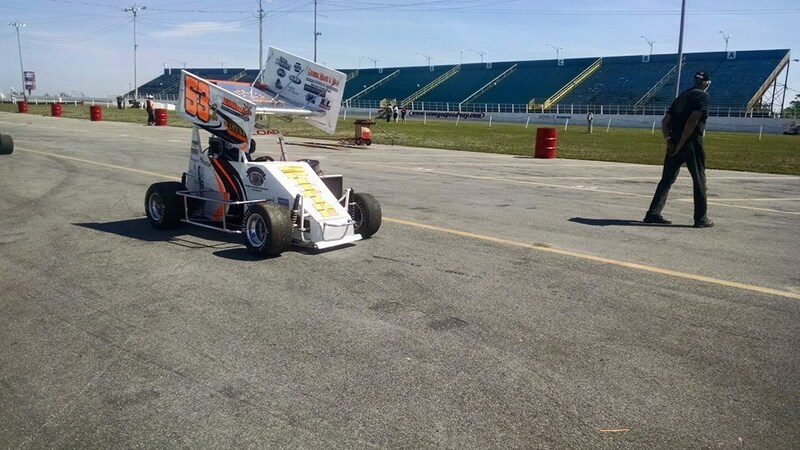 Richardson's motivation to race the Steel Palace is that he is an Oswego native. Chad Parks, son of famed Indy Crew chief and AJ Foyt employee Lew Parks debut their brand new Drinan TQ midget. Parks was working his way up to speed in the feature but his day ended in a DNF of lap 18. 2014 ATQMRA Rookie of the year Geoffrey Sutton lost the power plant in his Metz Racing 46 in the second round of practice and was forced to take over the seat of the Metz Racing 46v that was to be raced that day by Blu Metz. Sutton recovered to finish fifth in the final tally.